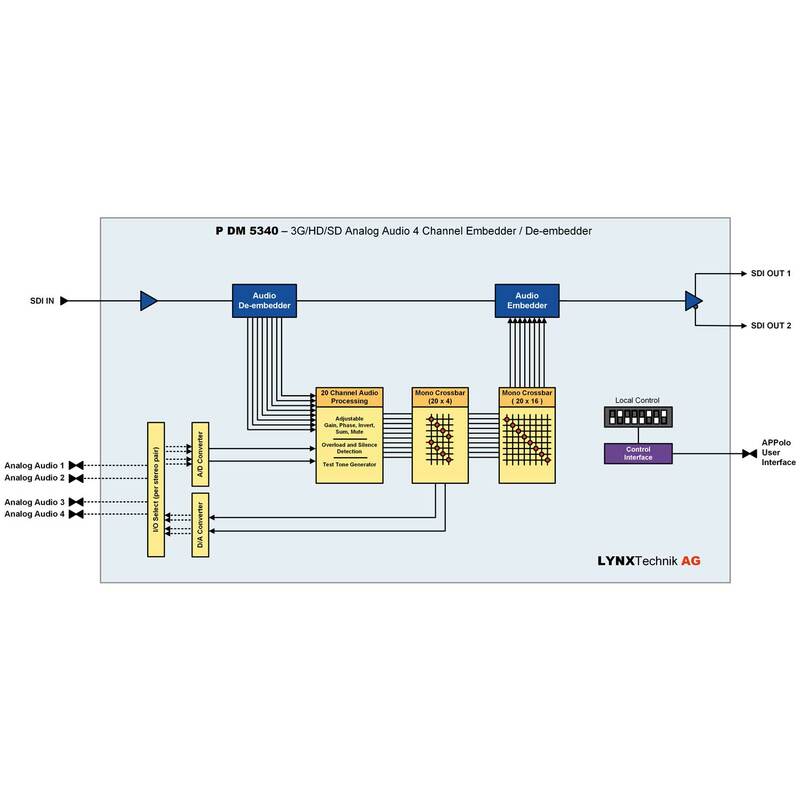 The P DM 5340 is a versatile 4 channel analog audio embedder or de-embedder, which can be used to address a variety of audio issues in broadcast. The module offers multi-format SDI support up to 3Gbit/s (auto-detect). The module can be switched between a 4 channel embedder or de-embedder, or used as a combination of both. 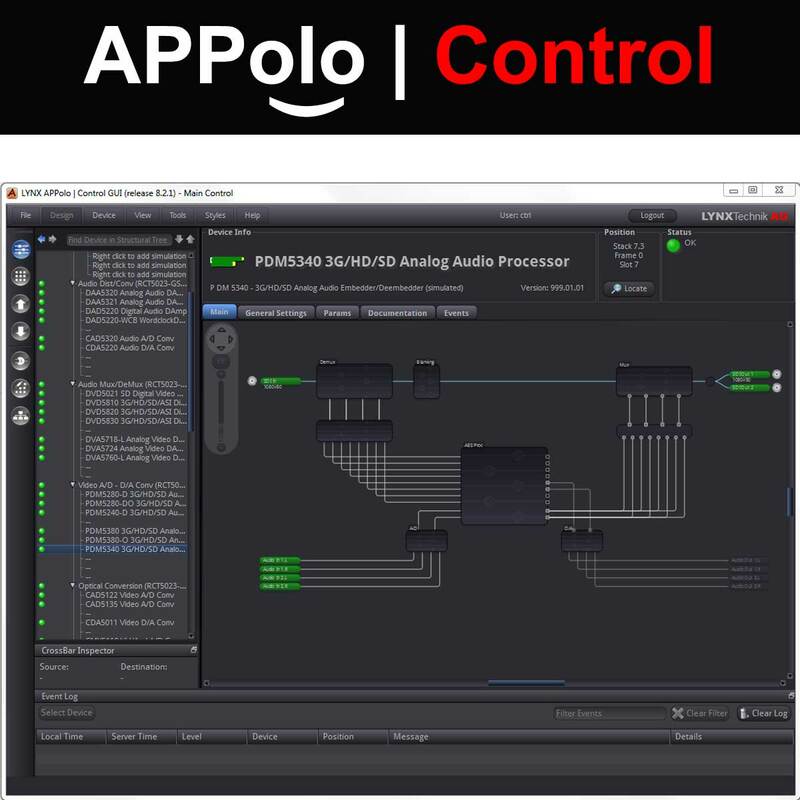 16 channels of audio are always de-embedded from the SDI input signal and passed into an audio processing stage. In embedder mode, 4 channels of external audio are passed into the audio processing stage. Audio processing includes adjustable gain, phase invert and mute for all 20 channels as well as a selectable mono mixdown function for each left and right pair. The processed audio is passed into further crossbars where the audio for the embedder, and / or audio for the external outputs can be user mapped. 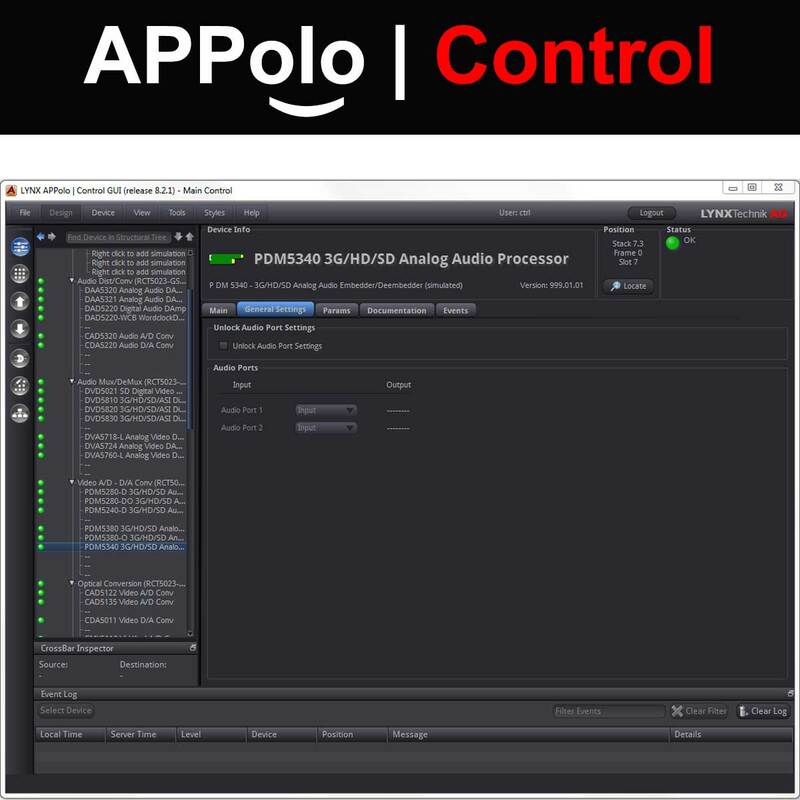 Remote control, status monitoring and error reporting is possible with the LYNX APPolo Control System.